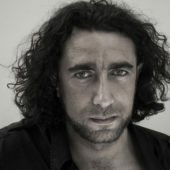 FunctionGhayath Almadhoun. Author of poetry and poetry films. “I am working on my fifth book of poetry in Arabic. Digging inside the exile to find the roots of my dream. A Palestinian without a homeland, find himself again forced to be away from the Palestinian refugee camp in Syria. Now the dream become a complex dream, I’m dreaming to go back to Syria so I can dream to go back to Palestine. My new project is to let my poems see the paradox of the new life through the diaspora morals, the relation with the other who became you, and you who began to be the other, when you began to understand that you are not Syrian anymore, and you will never be the 100% European, you are in a parallel live, this is your new home, the parallel.